Tarv Technologies Freshers Jobs in Chennai | Walkin Drive From 31st July to 2nd August 2017. Tarv Technologies is hiring candidates for multiple positions. Applicants who are interested in work with Tarv Technologies can attend for the latest walkins in Chennai on or before the last date. Candidates who had completed B.Tech, BE in Computers, Electronics, Telecommunication are eligible to attend for the position of Android Programmer, JAVA Developer, PHP, Dotnet and Hardware & Networking. Only 2015, 2016, 2017 freshers are eligible to attend for Tarv Technologies Job vacancies. Here in this article, we have provided the details for each position. So aspirants can stop wasting their valuable time for searching and start preparation with the help of the Tarv Technologies Interview Questions and Tarv Technologies Online Test Patterns. Because the competition for Tarv Technologies Vacancies is very heavy. Job seekers who want to settle in Software as well as Hardware field they are in the correct place. We hope the entire information is useful for the job hunters. For every job, they have separate Eligibility Criteria and Job Responsibilities. So candidates have to practice hard to crack the test of Tarv Technologies. The Final decision of the selection process is based on the officials of the Tarv Technologies. For more details about Tarv Technologies Careers keep on visiting All India Jobs for fresh and accurate information. Android Programmer is a new application created for the Android Operating System. Applications are usually developed in Java programming language using the Android software development kit, but other development environments are also available. Tarv Technologies is Hiring IT, CS, ECE Freshers candidates. Familiarity with Microsoft development stack (IIS, SQL Server). Java developer roles and responsibilities include managing Java, Java EE application development while providing expertise in the full software development lifecycle, from concept and design to testing. A Java developer or Java Programmer career involves high level programming knowledge and long hard working hours. They are recruited in all the companies where Information Technology plays a major role, especially companies that have jobs with website development, database designing, software testing, cell phone programming, internet or intranet designing etc. Should take part in software and architectural development activities. Should take part in testing of prototypes. Develop and design software based prototypes. Should be flexible to learn new programs and script languages. Should be updated with the software and be proactive. Should show good levels of enthusiasm and interest in all computer related things. Oracle database SQL and JDBC. Linux/Unix Windows Platform and Solaris. A PHP developer is responsible for writing server-side web application logic. PHP developers usually develop back-end components, connect the application with the other (often third-party) web services, and support the front-end developers by integrating their work with the application. They are also often required to develop and integrate plugins for certain popular frameworks. Integration of user-facing elements developed by front-end developers. Solve complex performance problems and architectural challenges. Integration of data storage solutions. .NET Framework is a software framework developed by Microsoft. It is powerful, flexible, and can be adapted to a broad range of uses. Every .NET developer should be at least proficient either in using VB.NET or C#, or even better, both languages. The great .NET developer should be capable of handling many aspects of the application, including but not limited to performance, scalability, security, and testing. Strong knowledge of .NET web framework. Proficient in C# and/or VB.NET, with a good knowledge of their ecosystems. Familiarity with the Mono framework. Skill for writing reusable libraries. Hardware and Networking is a vast field in India. It refers to the process of supplying data and information by linking the group of networks using hardwares such as switches, hubs, network interface cards, networking cables, gateways, access points. To be more specific, hardware networking includes all peripherals, computers, interface cards, and other tools required for communications and data processing in the network. In Hardware & Networking, there are a huge number of courses available in India. The courses offered at different levels are – certification, international certification, diploma in hardware & networking and degree courses. The top courses in hardware and networking field such as Linux, Cisco certification, MCSE, UNIX admin, CNE, red hat, JCHNE, MNA, ICHNP, ACHNP, Novell, N+, Security courses. Tarv Technologies, a specialist recruitment company, has been in business since 2007 in Chennai, serving IT clients in the Domestic sector, be it Service firms, Product companies, Technical support companies. Aspirants who are interested in attending for Tarv Technologies walkin recruitment can check the details on multiple posts. 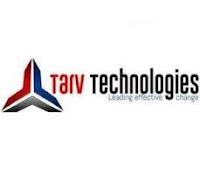 Tarv Technologies is hiring candidates for multiple vacancies, so candidates read the entire post carefully and attend for the vacancy which is suitable for your profile. LandMark: Near Saravana Bhavan Hotel. Job aspirants who had completed BE, B.Tech in the year of 2015, 2016 and 2017 are only eligible to attend for Tarv Technologies Recruitment 2017. People who are going to appear for the interview can attend on the given walkin dates at the above mentioned venue.